Ebola: How does MSF care for Ebola patients? Dr Armand Sprecher, Médecins Sans Frontières/Doctors Without Borders (MSF) Public Health Specialist, describes the clinical protocols, the challenges faced and the lessons learned from the world’s largest Ebola outbreak in history. 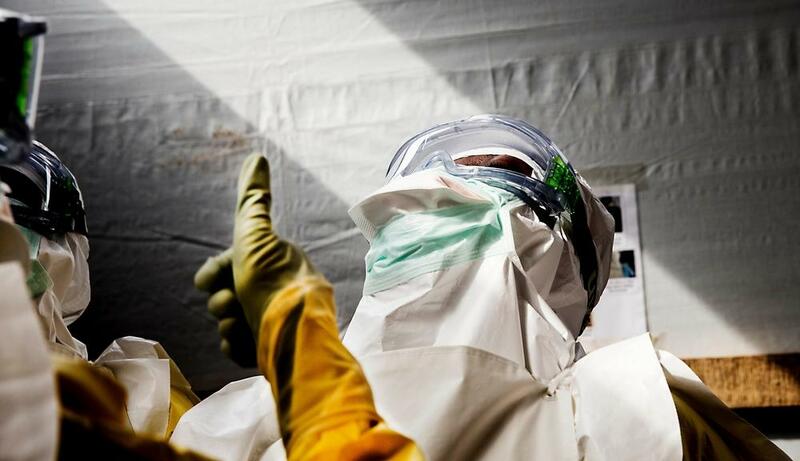 Does MSF have a standard clinical care regimen for patients s uffering from Ebola? Yes. Before this outbreak in West Africa, MSF has cared for hundreds of people affected by Ebola in equatorial Africa, including Democratic Republic of Congo, Sudan, and Uganda, and now nearly 5,000 patients in West Africa. MSF’s standard clinical practices for Ebola patients are consistent with those of the World Health Organisation (WHO) and are available publicly upon request. Supportive care: Additionally, hydration is a crucial component of care; without enough fluids, the body can go into shock and kidneys can shut down. If a patient is alert, able to participate in their care, and is not vomiting, oral rehydration fluids are given to replenish fluids. Patients with insufficient oral intake, severe diarrhoea, or vomiting are provided with intravenous fluids (IVs). Presumptive care: Patients with Ebola may also be suffering from other common diseases at the same time, such as malaria, typhoid or shigellosis that can interfere with their ability to build an immune response to help fight off Ebola. Antibiotics and anti-malarial drugs are provided to all patients to avoid leaving these infections untreated. Nutritional support: Vitamins and therapeutic foods are given to support the patient’s response to the virus. Psychosocial counseling: Ebola patients suffer for many reasons, and not all of these are physical consequences of the disease. Psychological support is provided to help the patients and their families get through a serious illness. There has been some debate over the use of IV perfusions and their impact on mortality rates. What is MSF’s experience in the field? For MSF, there is no debate over the importance of IVs; it is clear that it is a crucial component of treatment. We currently provide them for patients in need in all our projects in West Africa, as well as in the outbreaks we have responded to in the past 14 years. However as the outbreak grew, our capacity was stretched, leading to many challenges in our response. In specific moments we did not have enough staff to manage IV hydration safely when there were a great number of patient admissions. This meant that IV fluid management had to be temporarily suspended or restricted, as was the case in Monrovia in September. It was not just a matter of performing this safely, but also of having enough team members to carry out the necessary monitoring, follow-up of fluid hydration for patients and good infection control. When a member of staff became infected, then fear had an impact, and sometimes led to more restrictive care immediately afterwards. MSF teams strived to quickly overcome these barriers, and returned to normal levels of individualised care with the minimum of delay. We don’t know how much mortality reduction IV fluids might offer on their own, but we know it is a key element of care. Our experience from past outbreaks demonstrates that good clinical care can reduce overall case fatality rates by between 10 and 15 percent. There are still many unknowns about Ebola and how to best combat it clinically. More research and collaborative learning is needed to help improve clinical practice. Nurses check each other's PPE as the prepare to enter the high-risk zone in MSF's Ebola treatment center in Sierra Leone. Nurses check each other's personal protective equipment to comply with protocols at one of MSF's Ebola treatment centres in Sierra Leone. How have your protocols changed over the course of the current outbreak affecting West Africa? At the onset of the epidemic, all MSF centres implemented the existing protocols to provide the best patient care possible, and those protocols have evolved since then. Increased bedside observation, as well as monitoring of patients’ electrolytes and analysis of blood chemistry to correct abnormalities is currently taking place in MSF’s centres in Conakry, Gueckedou (Guinea), Monrovia (Liberia), and Freetown (Sierra Leone). Additionally new protocols for pregnant women and children have been developed. Before this outbreak, Ebola was thought to be a death sentence for pregnant women, as very rarely did they survive. But now specialised care has led to 19 women emerging Ebola-free from MSF centres in West Africa. MSF teams are also considering using other supportive care modalities such as the use of vasopressors, parenteral nutrition, oxygen and alternative parenteral access. Why are the survival rates higher for the Western patients evacuated from West Africa and treated in their home countries? Factors that may have contributed to their survival include the experimental treatments, an excellent baseline health status, good nutritional reserves, genetic difference, intensive care nursing, and access to mechanical ventilation, renal replacement therapy, and monoclonal antibodies. However little is known definitively if one factor can point to the decisive intervention or therapy that saved them, but the capacity to provide individualised high-quality care is certainly important. What medical factors determine whether a patient survives or dies from Ebola? What will bring down the fatality rates in West Africa? Nearly 2,300 patients in our care have survived to date in West Africa. Ebola is not an easily treatable disease, such as cholera where simple hydration is the difference between life and death. There is much about the behaviour of the virus, both epidemiologically and medically, that is still unknown. Detailed data collection on treatment given and treatment outcome needs to be gathered to better understand the different supportive therapies’ effects. We’ve seen some patients seemingly on the mend, walking, talking, and eating, who then sadly and inexplicably pass away an hour later. It is not known which factors allow some people to recover while others succumb. Several elements may impact mortality: the severity of infection at admission (viral load), age of the patient, general previous health status, coexisting infections, nutritional status, intensive supportive care, or a combination of all. MSF is documenting and researching our data to examine these factors. So far, our main results suggest that the age of the patient (before five-years-old and after 40-years-old), and viral load (higher levels of virus in the blood on admission), are factors that determine mortality rates. Initiatives should be tried to improve clinical practice and decrease fatality rates, with patient and staff safety at the forefront. For this, collaborative learning and research is needed between all those providing care to Ebola patients. 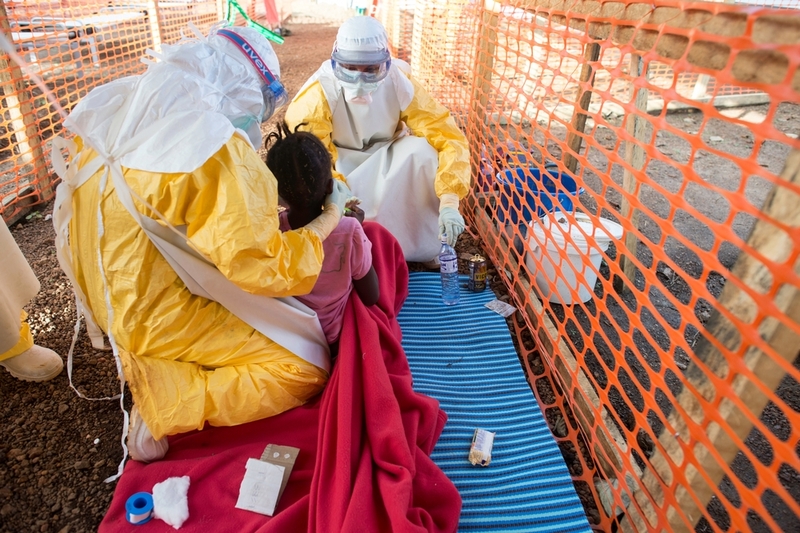 Finding a treatment for Ebola is crucial; MSF has fast-tracked in record time two clinical trials of experimental treatments in our projects in West Africa. Finding a safe, affordable and accessible vaccine against the virus is also essential. MSF teams are committed to caring for each of our patients, while working to achieve the safest and most effective means possible to beat the scourge of Ebola.